It’s probably safe to say that the majority of the population enjoys eating rice. Whether you’re mixing it with vegetables to create a stir fry, eating it inside sushi rolls or seasoning it as a side dish, rice often ends up being part of our meals and recipes. It’s no secret that Americans are eating too much. Too much sodium, too much saturated fat and too many calories. Overeating has caused obesity to become an epidemic in the United States. 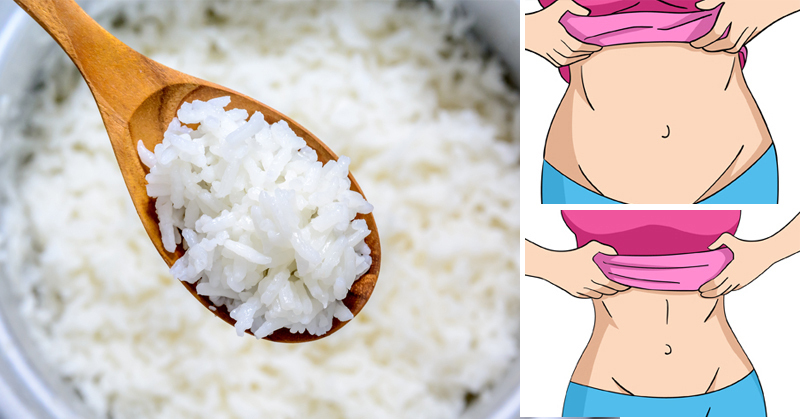 For many people, rice is a regular part of their diet. But a single cup of cooked rice contains 240 calories. Starchy foods can also increase a person’s risk of developing diabetes. Calories from starch turn into sugar, then later turn into fat. Most starches, including rice, are easily digested. They quickly convert to glucose (sugar) in the blood. Most of the starch gets stored in the liver and muscles as glycogen, while the excess glucose is stored as fat. This becomes a major contributor to obesity and other health issues.. In an effort to help prevent health issues due to starch in rice, a group of researchers at the College of Chemical Sciences in Sri Lanka came up with an idea of how to cut calories when eating rice. They discovered a way to make the body resist the absorption of the starch or sugar from entering the bloodstream. At the National Meeting & Exposition of the American Chemical Society, a Sri Lankan chemistry student demonstrated a method of cooking rice that reduce the calorie content of the rice. Sudhair James and his team added 1 teaspoon of coconut oil to a pot of boiling water, then added 1/2 cup of dry rice. They cooked it for 40 minutes. Once the rice was cooked, they refrigerated it for 12 hours before serving. The experiment showed the this technique reduced the amount of available calories by 10-12% percent. Using this method, researchers were able to increase the resistant starch content of white rice. Resistant starches pass through the small intestines undigested and become food for the healthy microbes in the large intestine. This also helps reduce the risk of excess glucose in the blood while supporting health colon cells and acting as a natural fat-burning agent. So how does this method actually work? When the coconut oil enters the starch granules during the cooking process, it makes the sugar resistant to the digestive enzymes. This prevents the sugar from being broken down and being digested. Cooling the rice for 12 hours binds the starch to molecules on the outside of the rice. This turns the rice sugar into a resistant starch. Reheating the rice to serve it will not affect its RS levels. Add 1 teaspoon of coconut oil to boiling water. Once the oil dissolved, stir in a 1/2 cup of rice. Simmer for 40 minutes or until the rice is fully cooked. You could also boil the rice for 20-25 minutes instead. Refrigerate the rice for 12 hours before consuming. If you struggle with blood sugar or weight issues, this strategy can help!